Few things are as delicious, comforting, and versatile as roasted chicken. Served hot out of the oven, it makes a great meal with any veggies or starch you choose. Served cold out of the refrigerator, it’s delightful in salads and on sandwiches. Shredded or chopped, it’s texture and flavor is perfect for an endless number of pasta dishes, enchiladas, tacos, soups, chili, curries, etc.. It’s also very practical as it is always cheaper to buy the whole chicken as opposed to the parts and you can use the leftover carcass for making homemade stock. Oh yes, you can! And I will show you how in the near future. 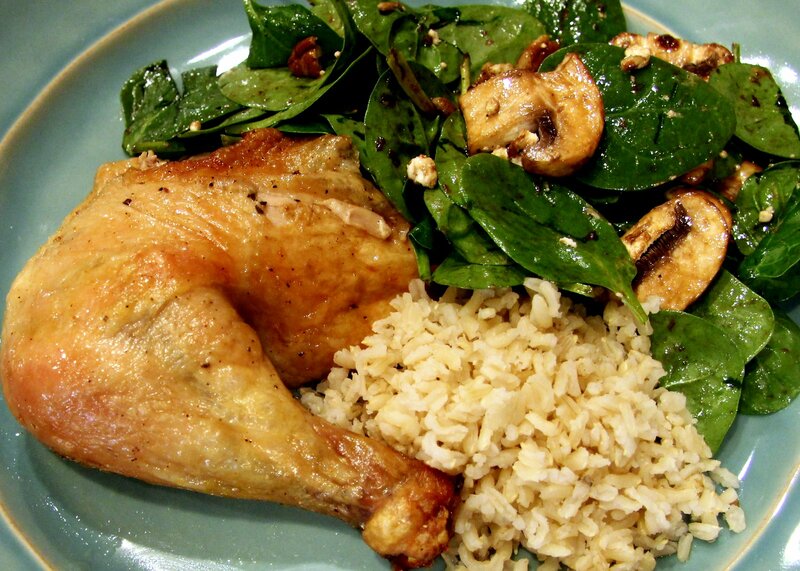 For now, let’s focus on showing you how to roast a juicy, flavorful chicken. 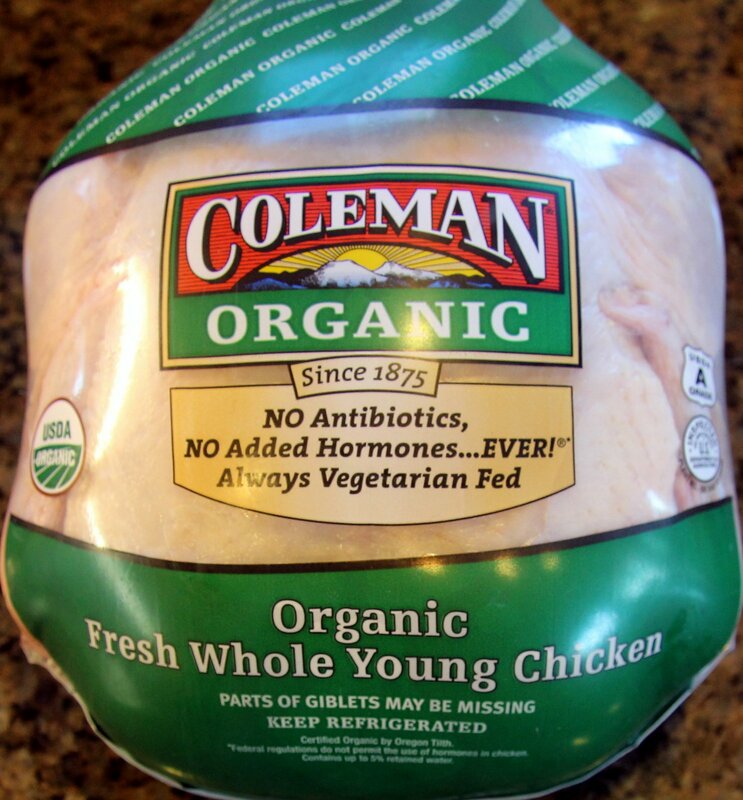 You may be asking, why not just buy that awesome rotisserie chicken at Costco? I agree, it is delicious and it’s a fine option when you need a quick meal. 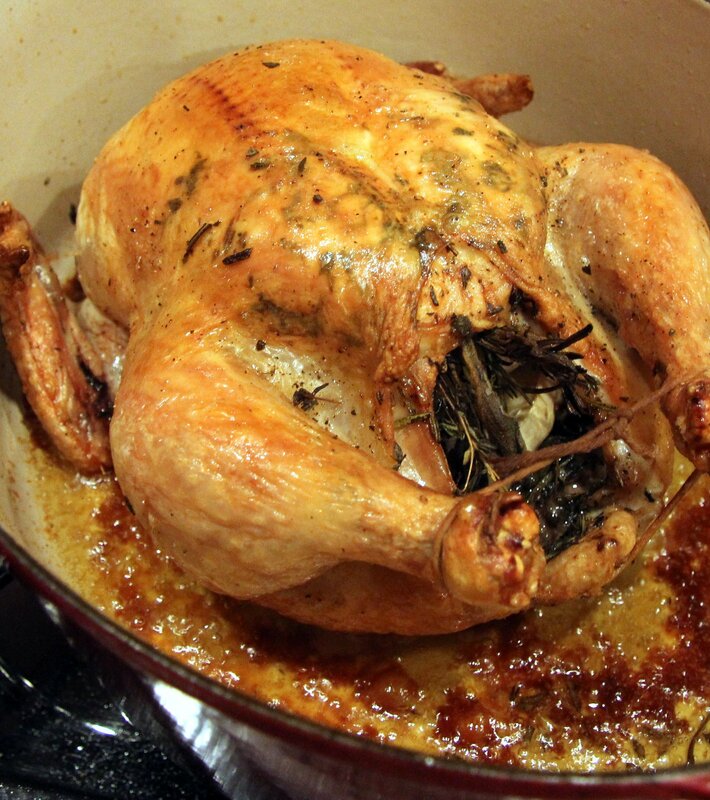 But, if you have the time, it’s very satisfying to roast your own and you have the advantage of controlling your ingredients, from the quality of the chicken itself to the specific seasonings, especially salt, you use. 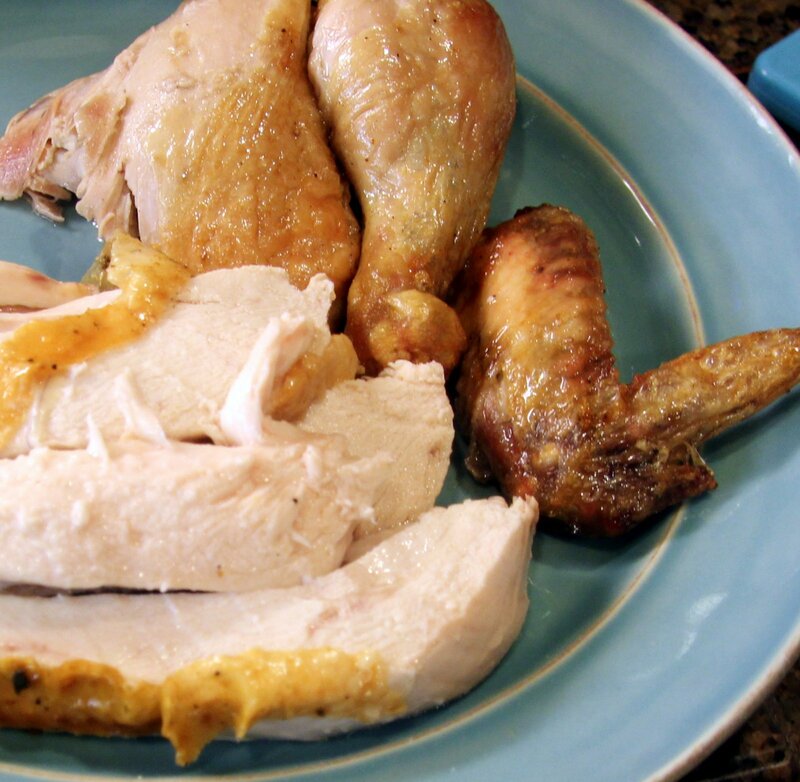 Store-bought rotisserie chicken is notorious for being very high in sodium. Plus, roasting just about anything in your own oven makes your house smell really good. Try this Spinach and Strawberry Salad or Garlicky Sauteed Kale alongside it. 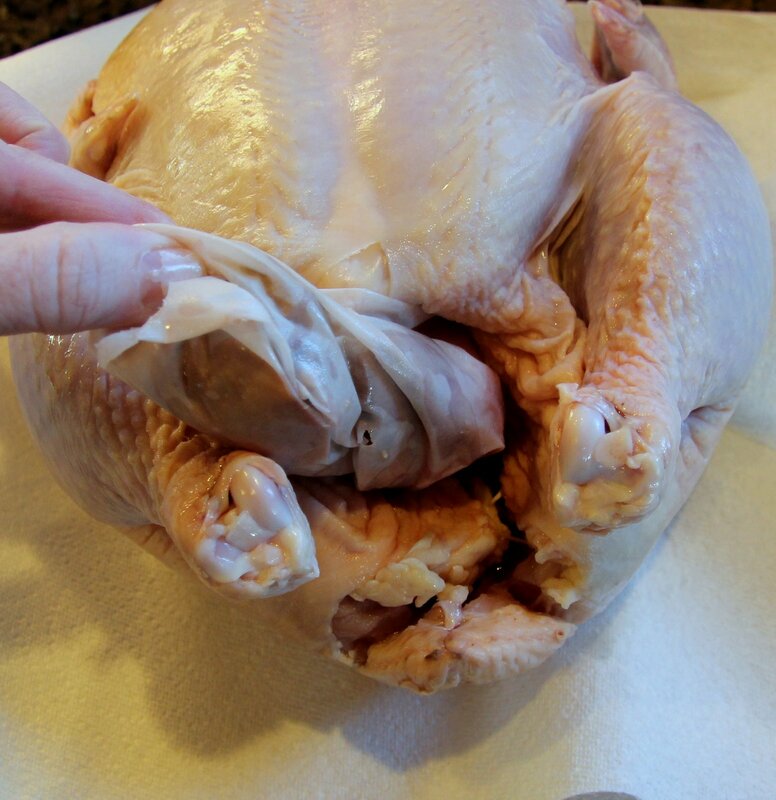 Unwrap your chicken over some paper towels, next to the sink if possible, as it will have excess liquid. Yes, this is the part that grosses you (and, frankly, me) out but I promise we’ll get through it together. If you need to wear some disposable plastic gloves, I completely understand. 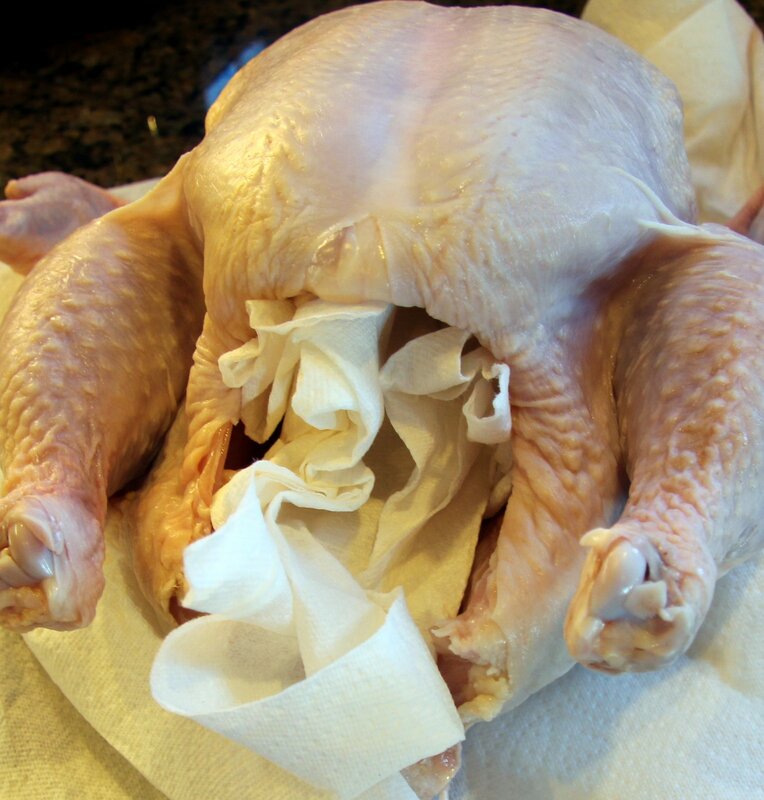 Place the chicken directly on the paper towels and remove the innards, aka the giblets and neck. Just pull them right out of there. 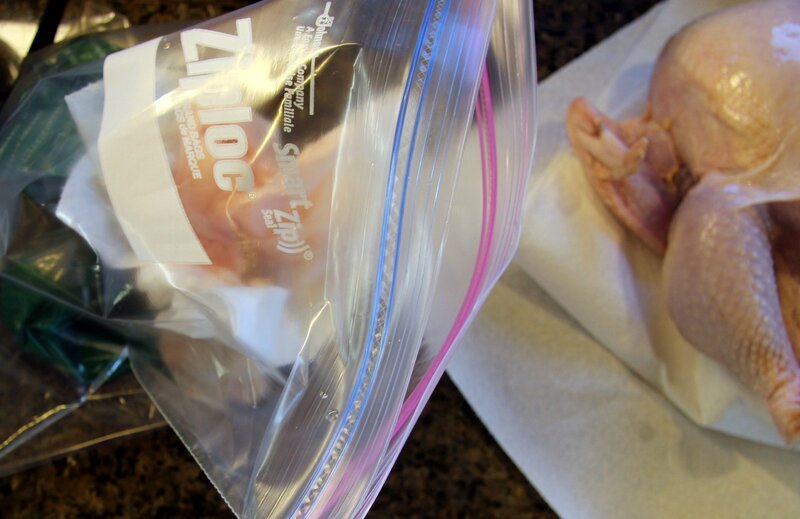 I like to have a large ziplock available for the packaging and any scraps that need to be tossed. Then I can close it up and take it to the garbage without worrying about foul odors or my dogs getting into it. If there is excess skin around the cavity go ahead and trim it. I suggest using kitchen shears if you have them although a sharp knife works too. Clean your kitchen sink. 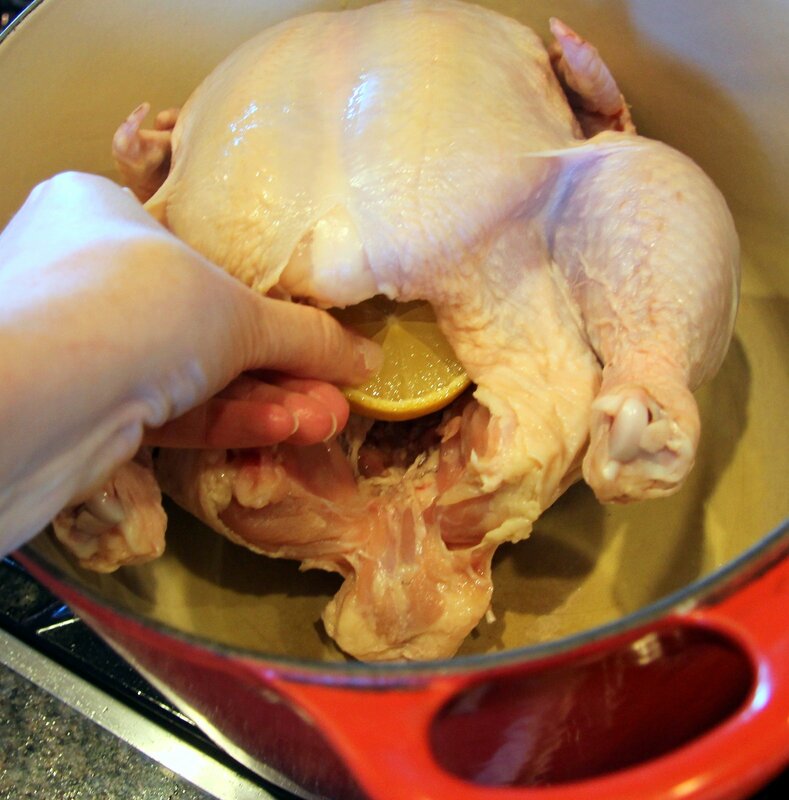 Rinse the chicken with cool water in your sink, making sure the cavity is clean and drained. Transfer to some fresh paper towels. Clean your kitchen sink. 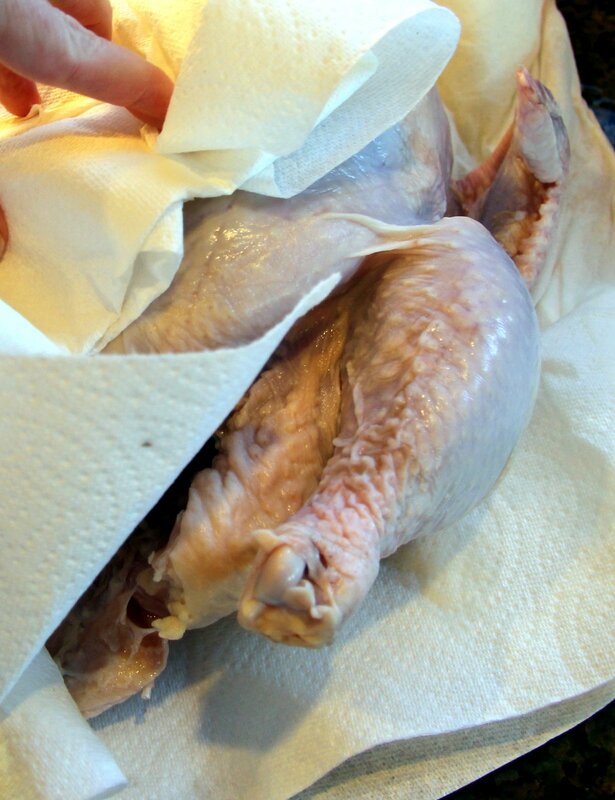 Dry the chicken with paper towels until it is as dry as possible, including the cavity, to avoid steam while cooking which would compromise the browning of the skin. 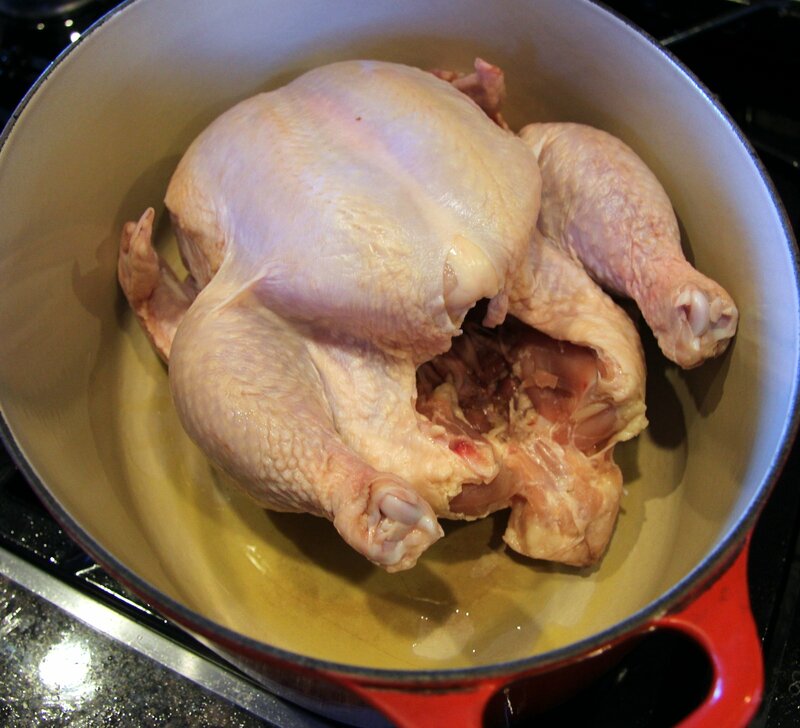 Transfer chicken to a dutch oven (drizzle a little olive oil on the bottom of the pan), roasting pan or foil lined half sheet pan. 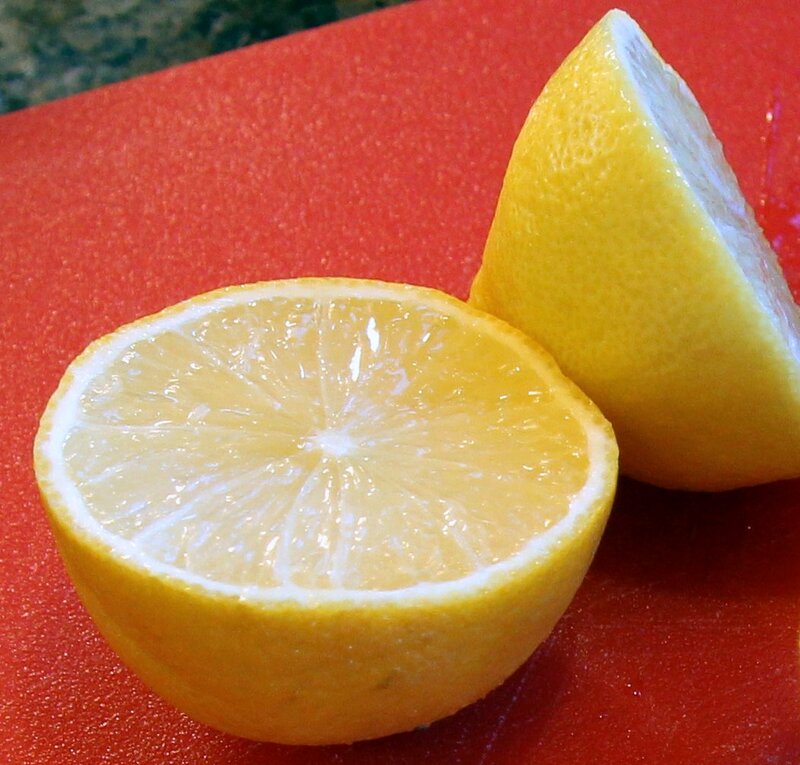 Cut lemon in half and rub a little on the skin to add flavor. Then place both halves in the cavity (or it’s “bum” as my giggling children call it). 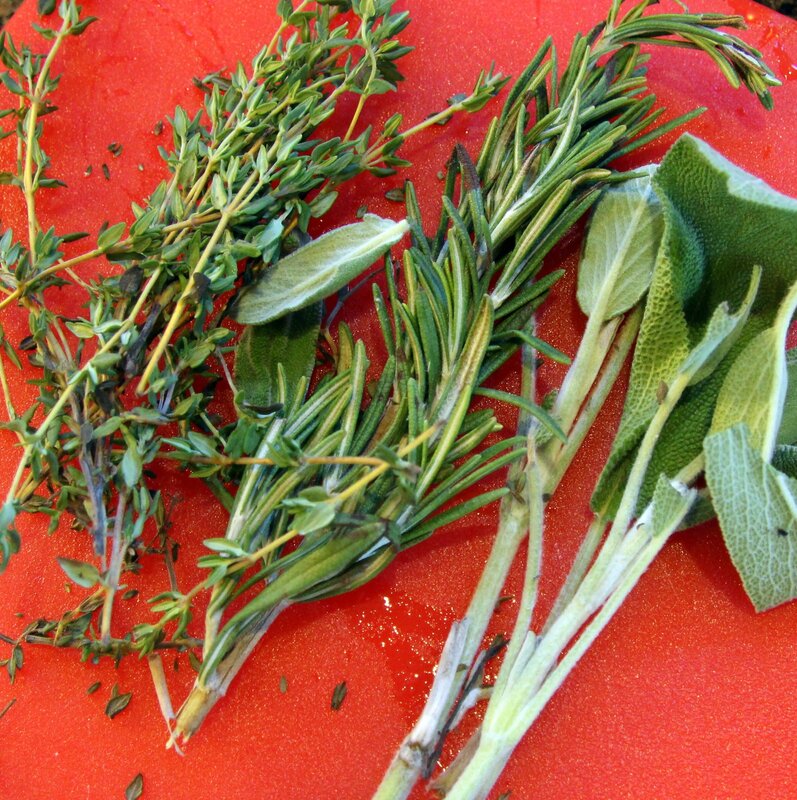 Assemble your thyme, rosemary and sage. Chop about half and set aside. Leave the rest whole and stuff them in the cavity with the lemon. 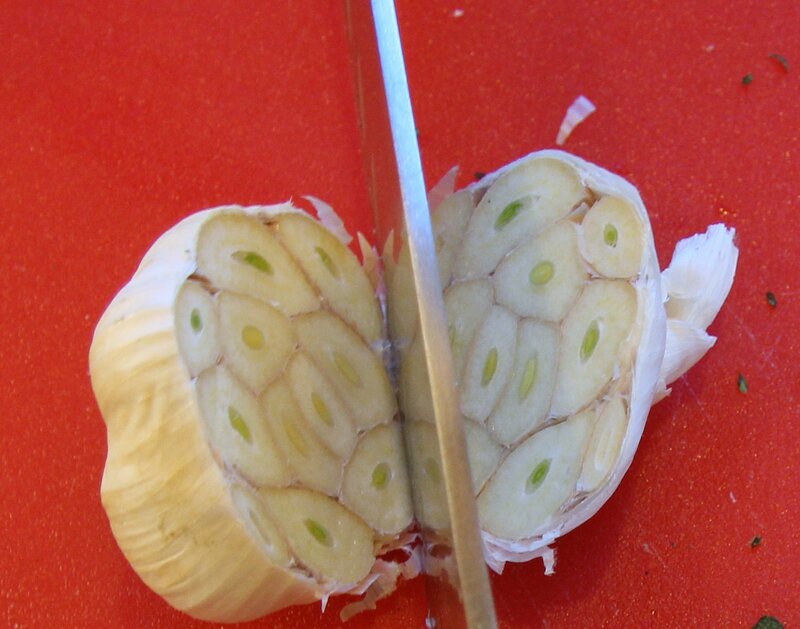 Cut head of garlic in half, crosswise. 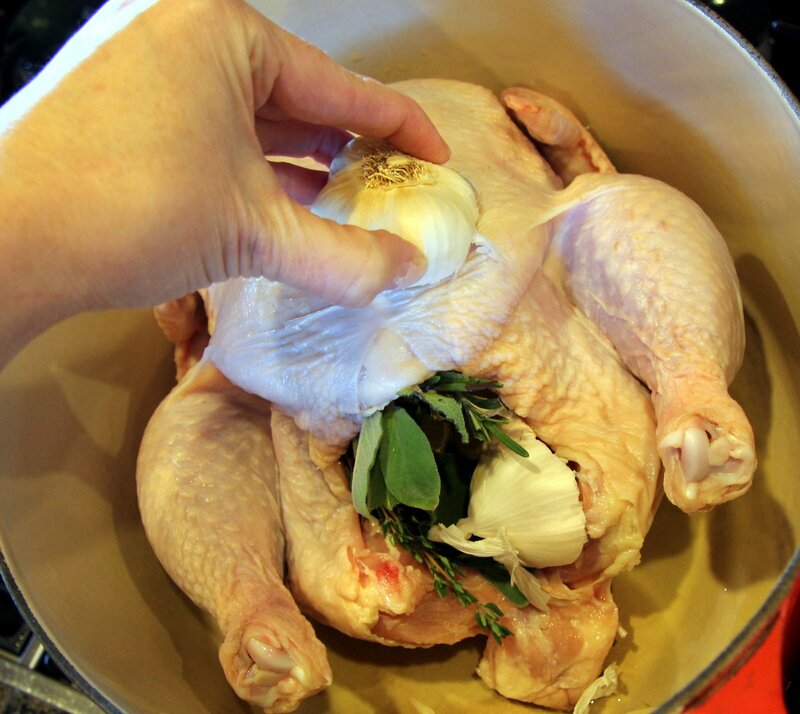 Rub some of the garlic on the skin then place both halves in the cavity. 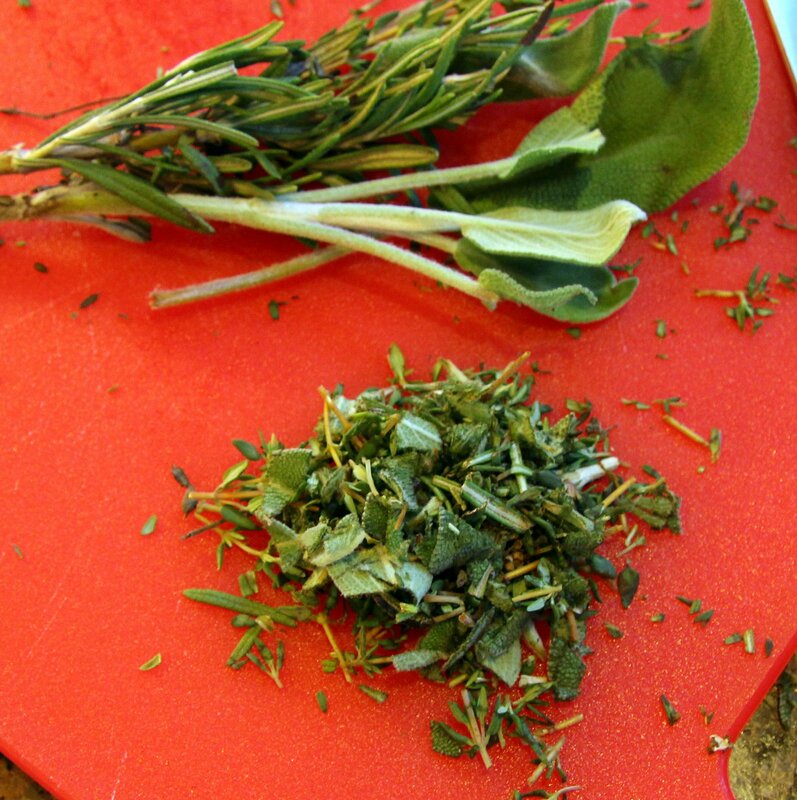 You now have lovely aromatics to flavor your chicken. 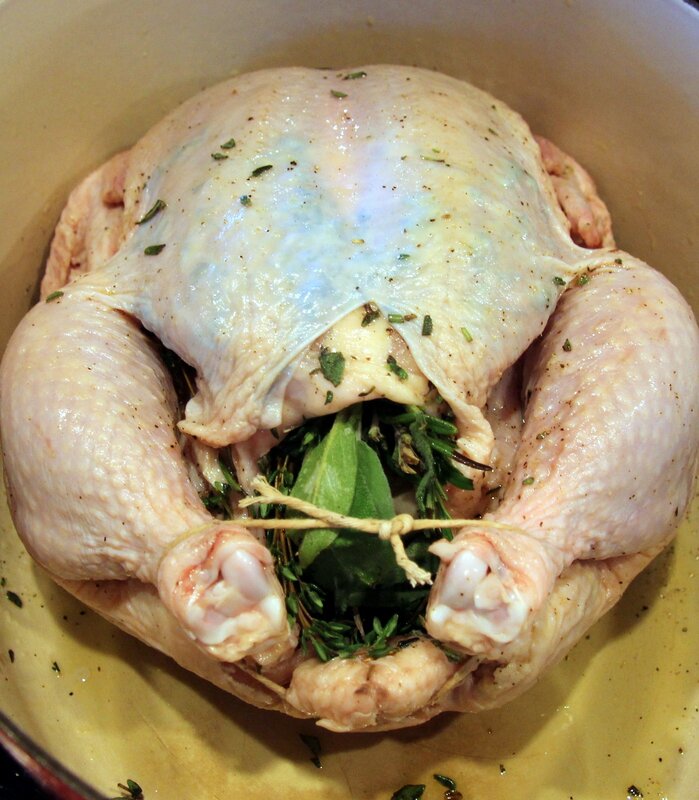 Also, stuffing the cavity helps to slow the cooking of the breast meat so it’s less likely to dry out. Next, liberally coat the chicken with salt and pepper. 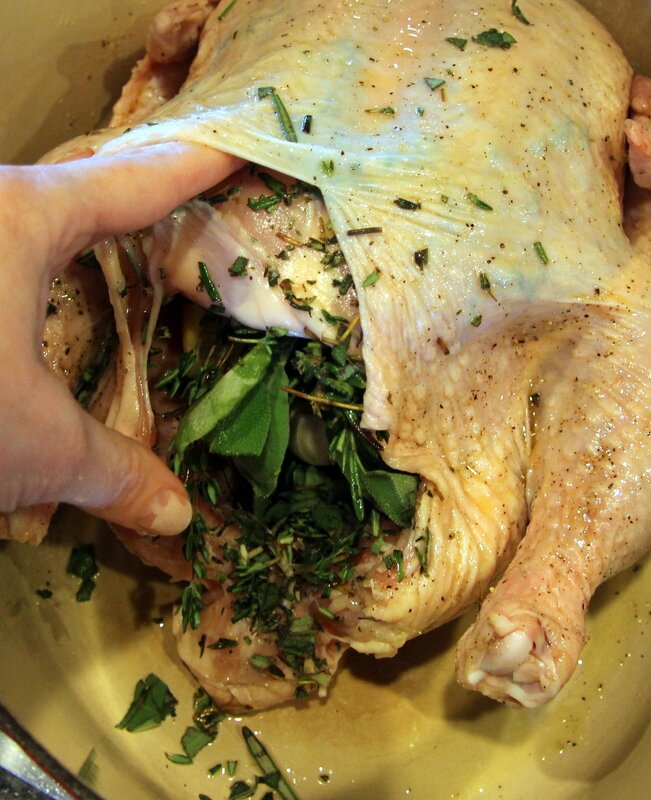 Rub with chopped herbs, making sure to get some salt, pepper and herbs underneath the skin as shown. and tuck in the wing tips so they won’t burn. It’s now ready for the big dance. Place in preheated oven for approximately 1 hour 15 min. 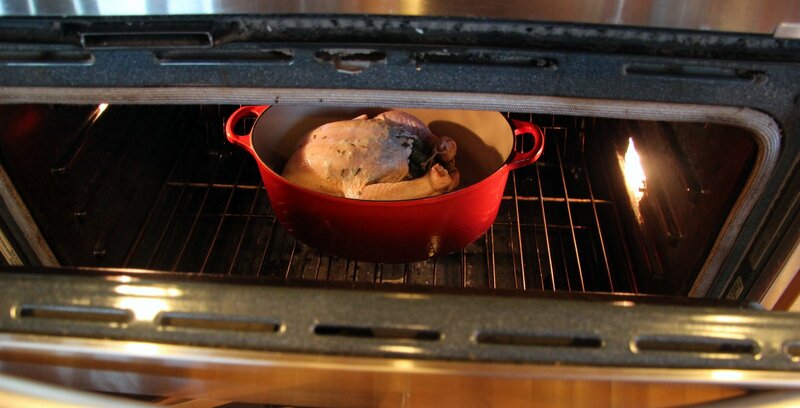 The cook time will vary according to the size of the bird and your individual oven’s performance. 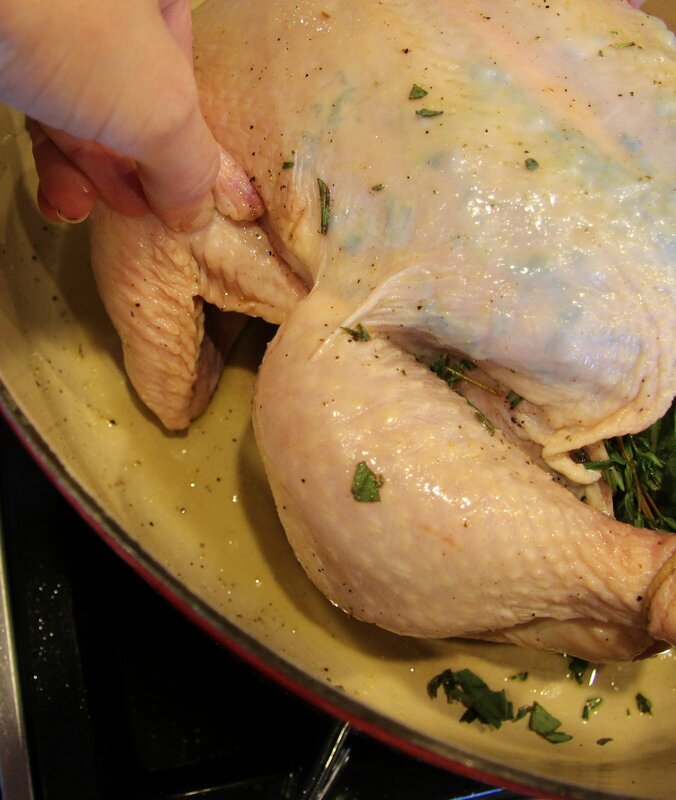 When it’s done, the skin should be golden brown and your meat thermometer should read 165 degrees when placed in the thickest part of the thigh. 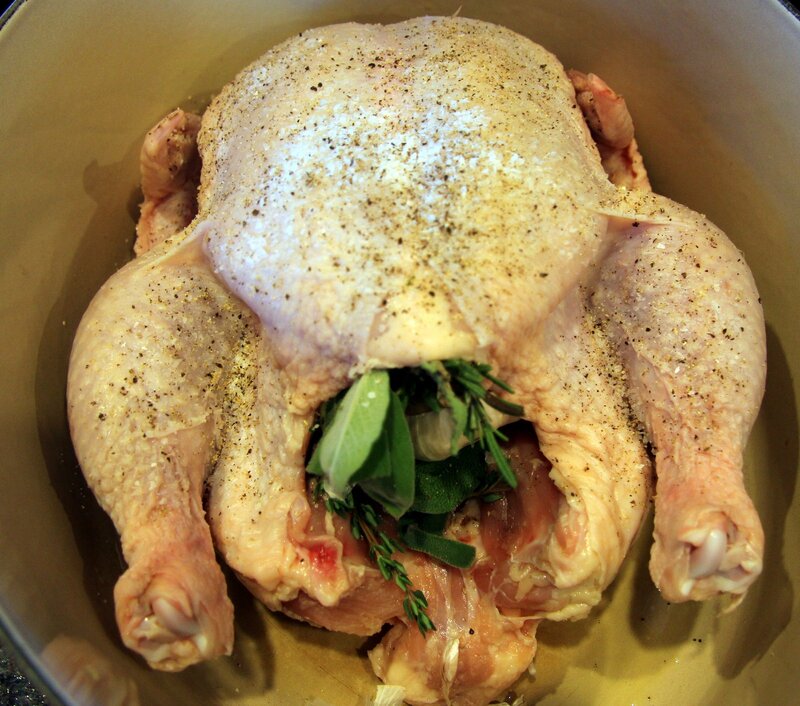 The dark meat takes longer to cook than the white meat so it’s important to make sure it’s up to temp. 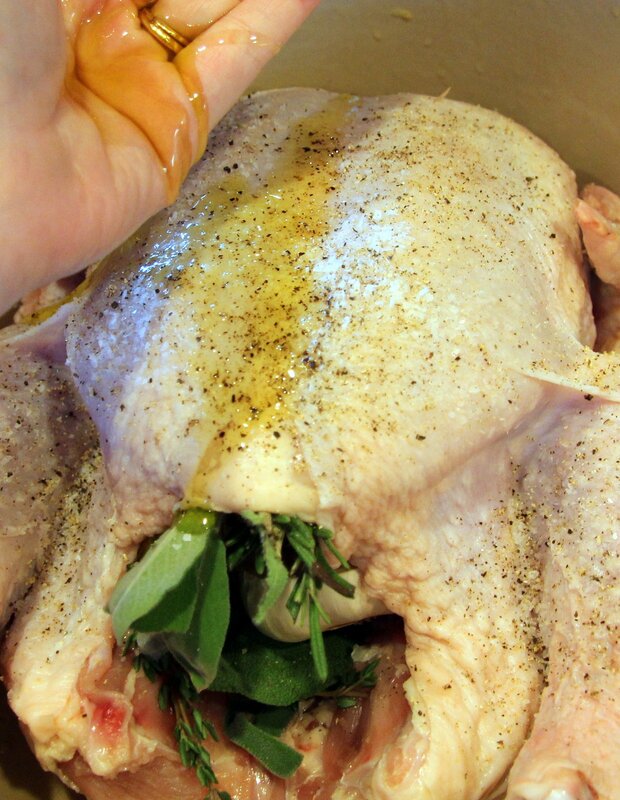 Also, when pierced, the juices should run clear, with no traces of blood, and the joints of the drumsticks should wiggle easily. After you take it out of the oven, cover it with foil and let it rest for 20 minutes. Now is a good time to make your salad and set the table. 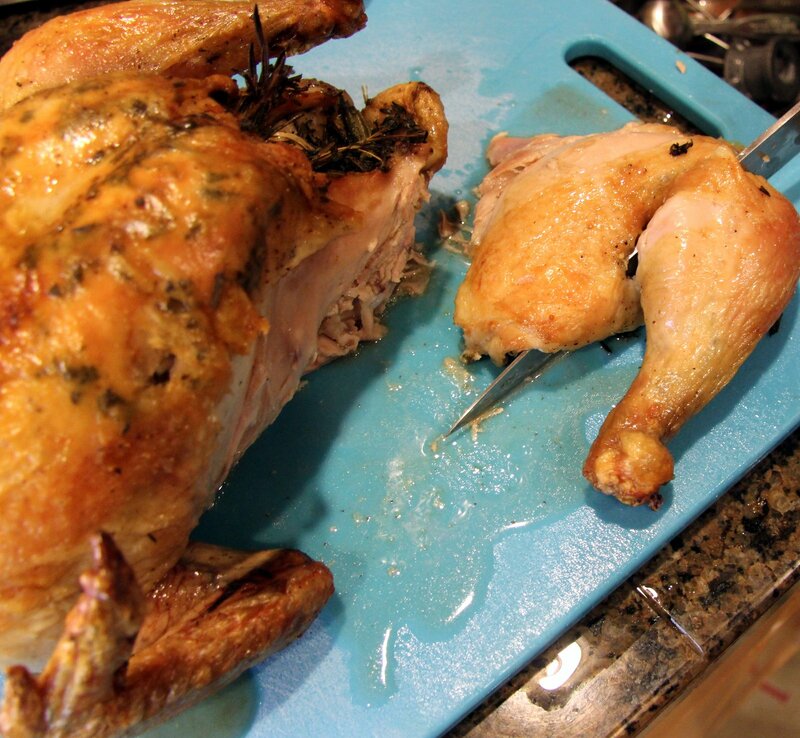 If you’re serving right away, transfer to a cutting board and carve away. 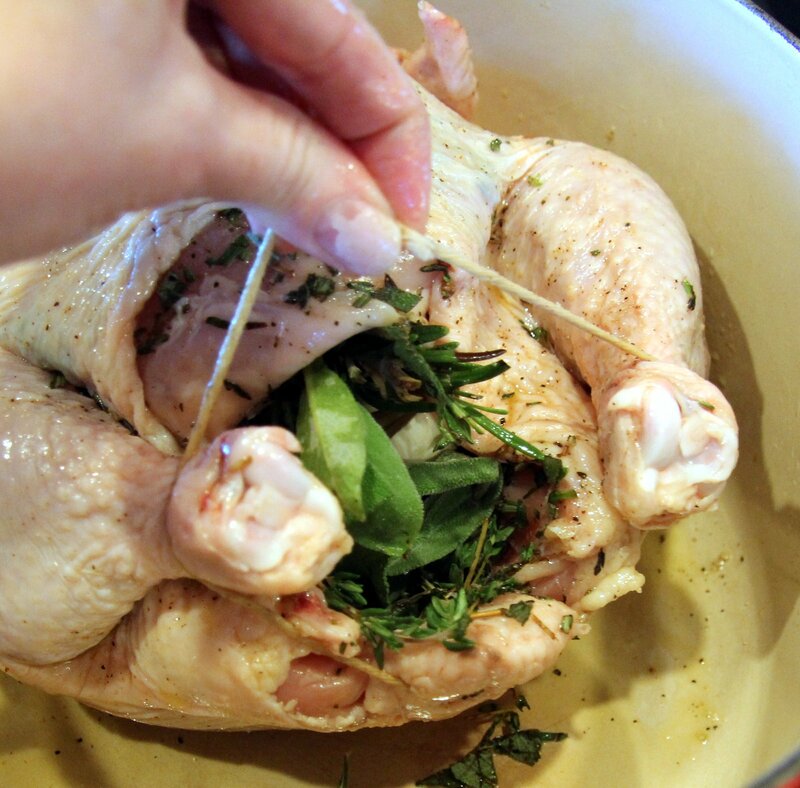 If you are intending to shred the chicken for use in another dish, allow it to cool a bit longer, remove the skin, then shred using two forks. Refrigerate until you need it.